Better than I deserve! 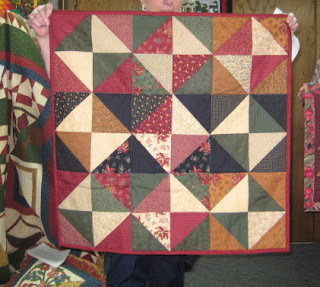 : Quilt night out. The nice UPS main brought this to me the other day!!!! That was so nice of him. What can I say it was on sale, and I wanted one for awhile now. 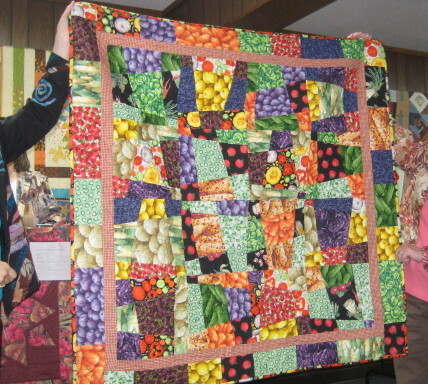 We went to the Runway of Quilts supper and quilt show in Lake Preston last night it was put on by the Lake Preston Area Quilt Guild. I love this quilt. 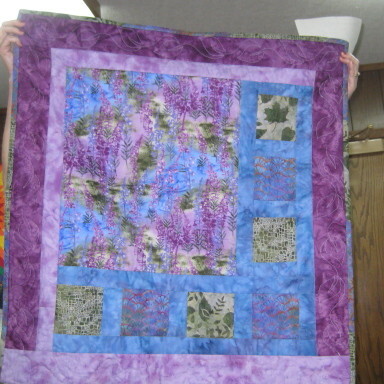 The supper was yummy, beautiful quilts, laughter, and gifts.A perfect night. Now enjoy the show. 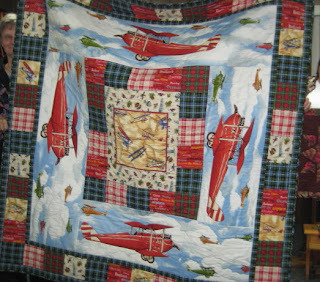 fireman t shirt quilt she made for her husband. This round one was a Hoffman challenge and traveled all over. bought the kit on her Alaska trip. Goodness, that was a fun show and I didn't even have to leave the house! Thank you for letting me tag along. :) See the vegetable quilt reminded me that I have 20 fat quarters of those that I need to release from the dark recess of the cabinet. I'm excited that you have a new toy! Come up for air once in a while and share your new creations! WOW! 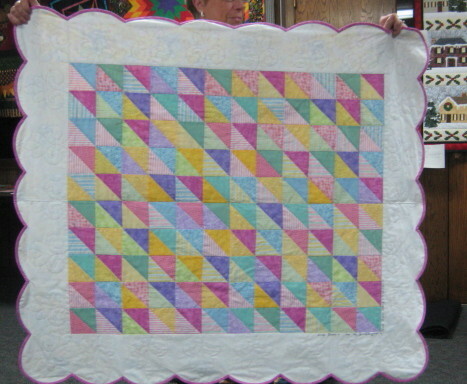 What a lot of lovely quilts. Thanks for sharing them!